When you want that extra pep in your step as you cruise around the Jersey Coast for a night out, then take the 2017 Acura TLX into consideration. With a racing pedigree, three powertrains, and a thrilling performance package, the TLX is sure to make each drive exceptionally exciting. Find out more at Acura of Ocean before heading to our dealership to take this powerhouse for a spin. This choice offers an 8-speed Dual-Clutch Transmission (DCT), torque converter, and Precision All-Wheel Steer (P-AWS). The direct-injected V-6 engine musters a noteworthy 290 hp, and features a 9-speed automatic transmission (AT) with paddle shifters and P-AWS. The 3.5L V-6 with Super-Handling All-Wheel Drive (SH-AWD) delivers with pure, raw power. Choose this option to experience advanced torque vectoring on a 9-speed automatic transmission. This package encapsulates the racing legacy in a sporty exterior, with a rear decklid spoiler, and front, side, and rear underbody spoilers to help reduce drag. With nearly 25 years of racing history under its belt, the 2017 Acura TLX delivers in performance and handling. If you’re in the market for a power-driven sedan, then the new TLX is sure to whet your appetite. The 2017 TLX is available in three impressive powertrains: a 2.4L Inline-4 8-speed DCT P-AWS, a 3.5L V-6 9-speed AT P-AWS, and a 3.5L V-6 SH-AWD with a 9-speed AT. Each powertrain comes standard with Intelligent Variable Valve Timing and Lift Electronic Control (i-VTEC). When equipped with P-AWS, you’ll notice an increase in control so you can take on corners with confidence. And the SH-AWD system provides premium steering and handling by distributing power to all wheels when needed. As you cruise around in your TLX, you can engage the Integrated Dynamics System (IDS), which allows you to customize your driving experience through four settings: Econ, Normal, Sport, and Sport+. Additionally, for the thrill-seekers, opt for the available GT Package, which incorporates racing-inspired elements into your new TLX. With so many options to choose from, the TLX is sure to keep you on your toes with each drive.To see for yourself the exciting performance features of the 2017 Acura TLX, head over to Acura of Ocean to take this sedan for a spin! 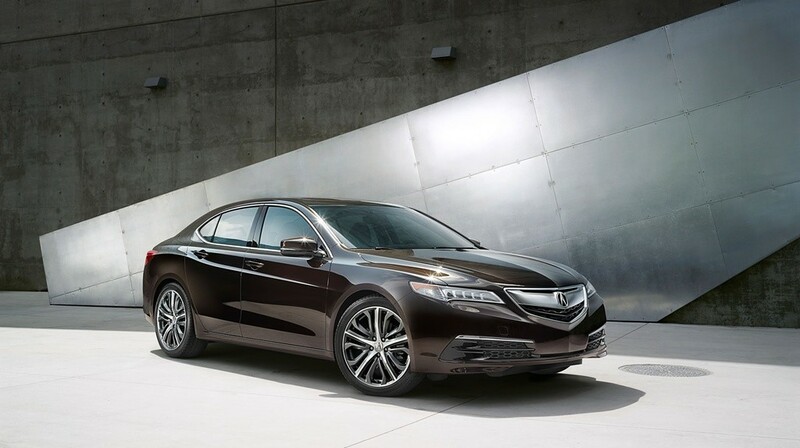 Visit our showroom at 909 Route 35, Ocean Township, NJ, or get in touch to learn more about the new TLX.